Findings (in German; in short, there was an issue with thw 275 MHz oscillator, C10 had been replaced before, along with Q5; replacing C10 with a high-quality adjustable cap and increasing capacity a bit, this increasing feedback, the issue could be resolved; root cause: oscillator did not start oscillation reliably when powdered up, because of a lossy C10 cap). 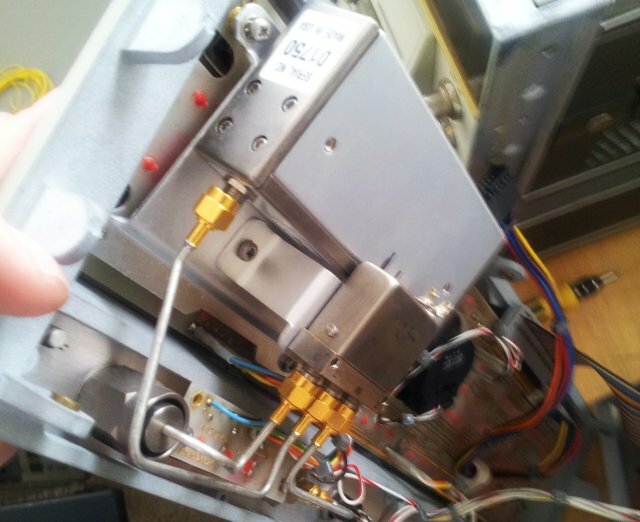 275 MHz Phase lock Oscillator..
dass jemand vorher schon herumgelötet hat. scwang der Oszillator dann wieder an. und der Fehler war beseitigt.. Thank You Bodo for sharing this. 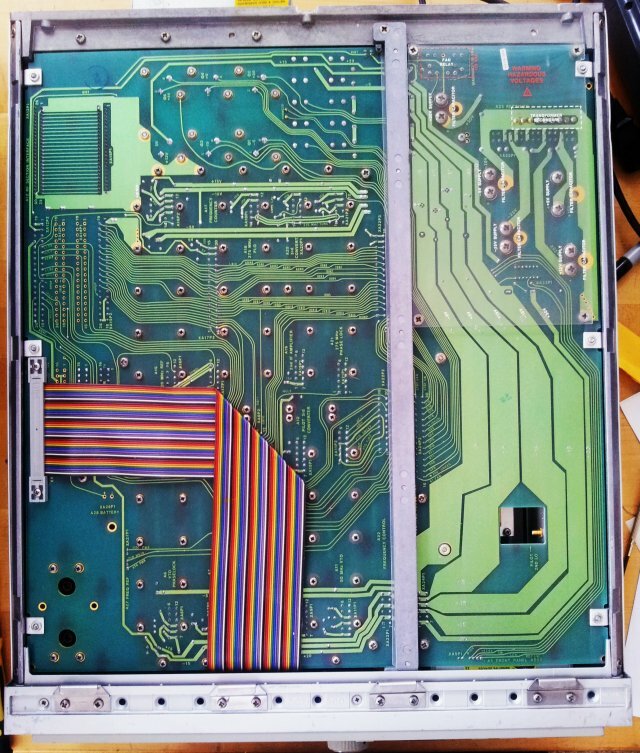 HP 8568B Spectrum Analyzer: a fair number of adjustments…. done. Having the 8568B basically working again is great. Not so great were the correction coefficients, all seems to be a bit out of alignment. Before alignment…. quite some deviations at 100 kHz, at the lower frequencies, and so on. First, checked the log amp circuits, and all seems fine. No adjustment made. 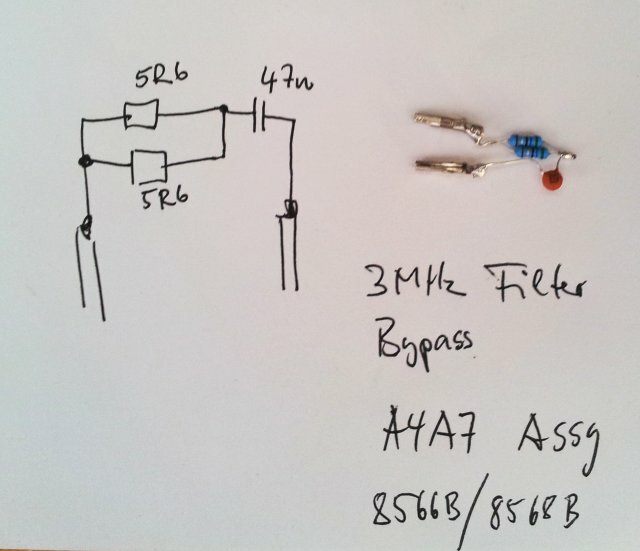 The, some small tweeking of the A4A5 assy that controls the step gains. Each of its crystals can be switched to 10-30-100-300-1kHz bandwidth, at virtually constant gain. 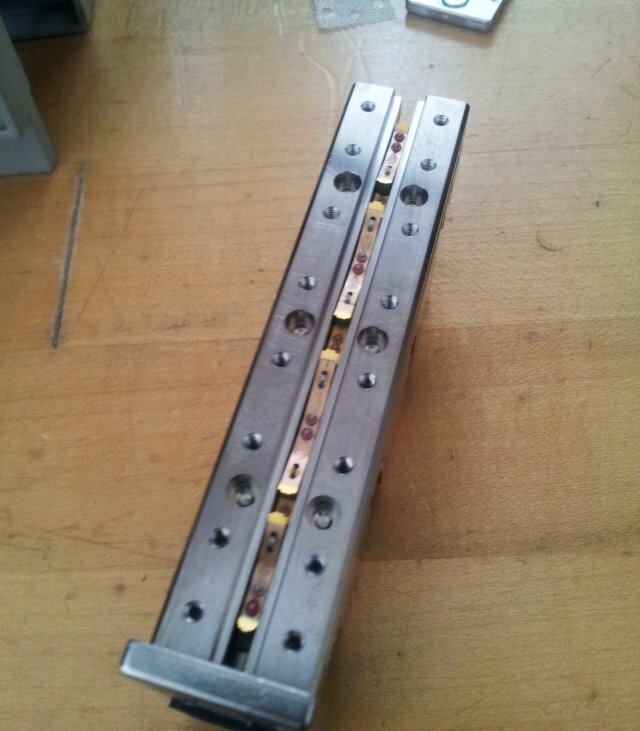 To do the alignment properly, each xtal has to be tuned separately, and some bypass networks are needed. 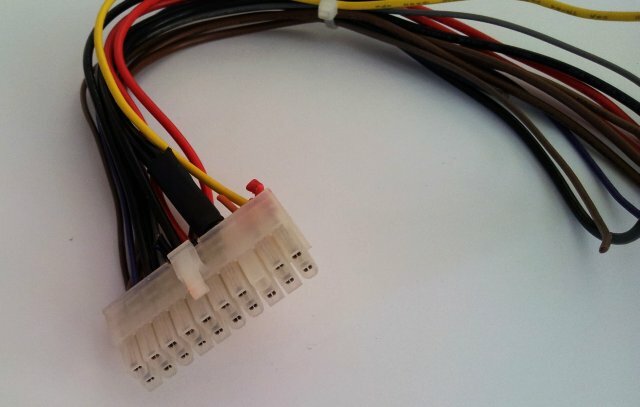 The bypass network, a 2.8 Ohms resistor in series with a 47n ceramic cap – just use an old ATX power supply connector to get some suitable contacts. These come free of charge, whereas HP used to charge a dollar each, or more. Note that I did not have any 2.8 Ohms resistors at hand, so I used two 5R6 in parallel. As you can see, it all looks great, except for the 10 Hz bandwidth. 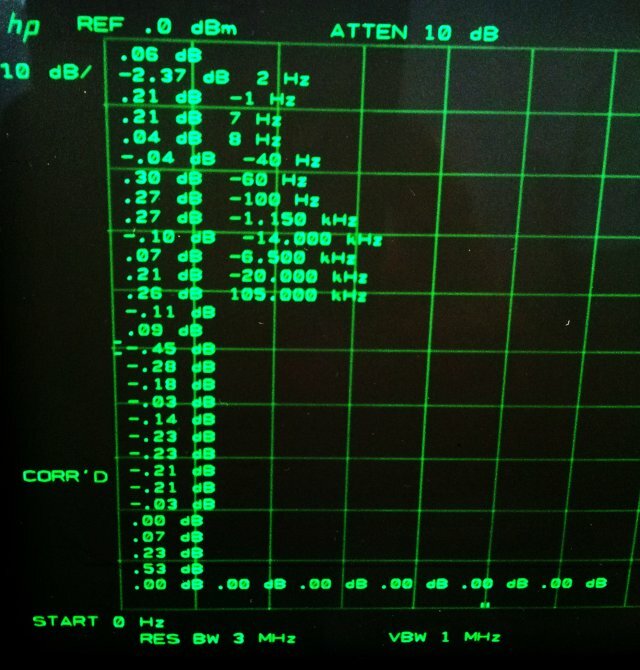 Carefully re-checked the aligment – 30-100-300-1000 is perfectly flat, but whatever I do, it seems A4A7 has extra loss when set to 10 Hz bandwidth. In priciple such situation can happen with misaligned crystals, or with some low-frequency issue of one of the amplifiers, which are rather unlikely. Maybe just some aged xtals? Will give it another try later, with flatness checks with some of the xtals bypassed, to see if the issue is caused by any particular of the stages. Found one of the 2.2 µF tantalum caps on the A4A7 to have high leakage current, replaced it, to no effect. 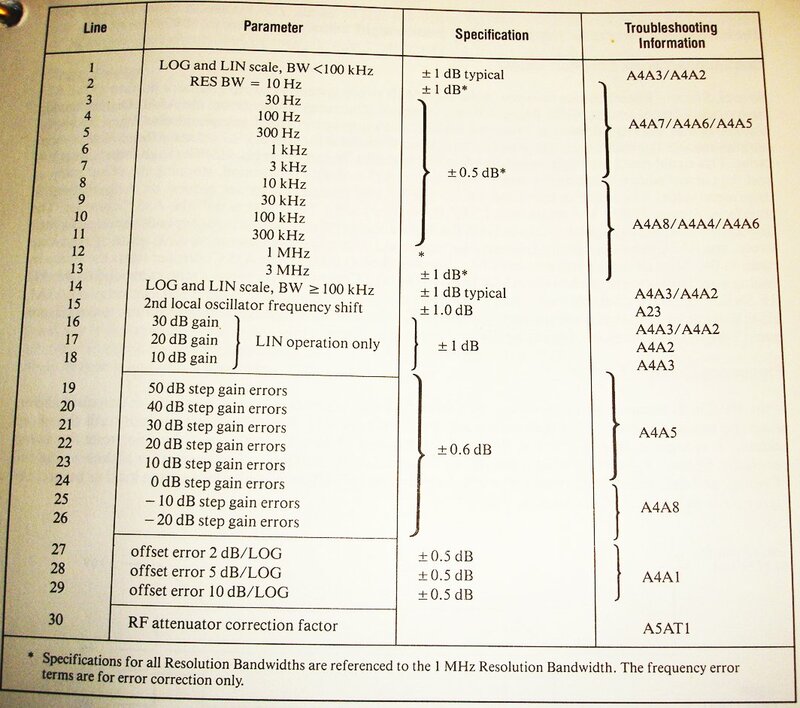 For now, it is good enough – specification at 10 Hz more relaxed anyway, and I never do 10 Hz bandwidth measurements without correction enabled, just considering that any modern analyzer basically relies on a good number of calibration and correction data stored somewhere in the instrument, and applied to all measurements. It appears that the US is a land of plenty when it comes to somewhat dated test equipment, otherwise, it would be hard to explain why someone would sell a 8568B analyzer, including a display unit, for just a few dollars. A great find! In the as-received state, after removing the 8568B and the 85662A display unit from two huge boxes, it was starting up, but did not show any signal, and no annotations on the screen. The latter turned out to be a rather easy fix, a little defect in the intensity control circuit. First step – adjusted all the CRT circuits, focus/intensity control circuits, and the analog/digital display scaling and stroke generator. The CRT is of a quite amazing quality, not sure if it is the original CRT – it has a hand-written label sticking to it, which could indicate that it has been replaced at one point in time. 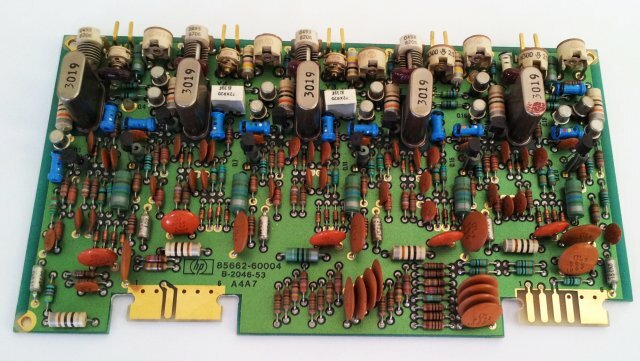 The major item, no signal (but a typical background noise trace) – this can be anything, but unless in cases of several neglect, it is hard to destroy the mixer or other hard to fix ciruits of the 8568B (typically, the attenuator, and the build-in limiter are absorbing any overload power). 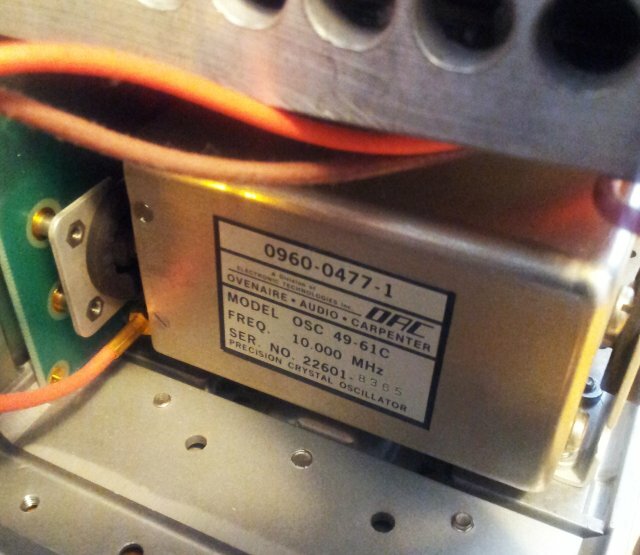 Switching the input attenuator, some signal found at -70 dB attenuation! 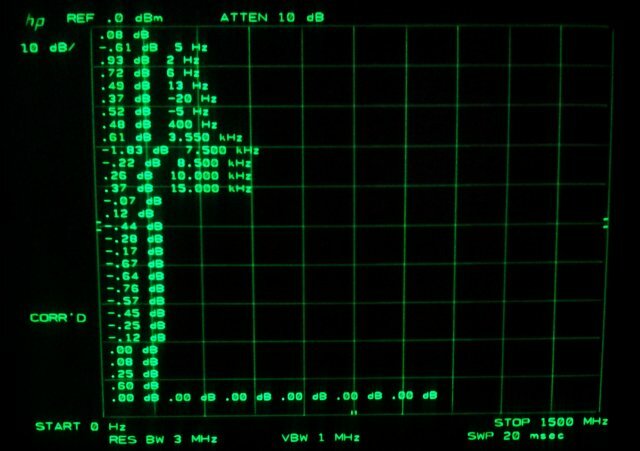 Strange, so there is something wrong with the attenuator. Opening it up, with the necessary care, what a strange thing – the contacts are not making any contract… the screws indicate that someone has tried to fix it before, or maybe damaged these contact fingers, while trying to fix it. This explains why only at the highest attenuation setting, there is a signal: the contacts work when pushed agains the 10-20-40 dB attenuator pads, but they don’t make contact with the pad bypass (“0 dB”). 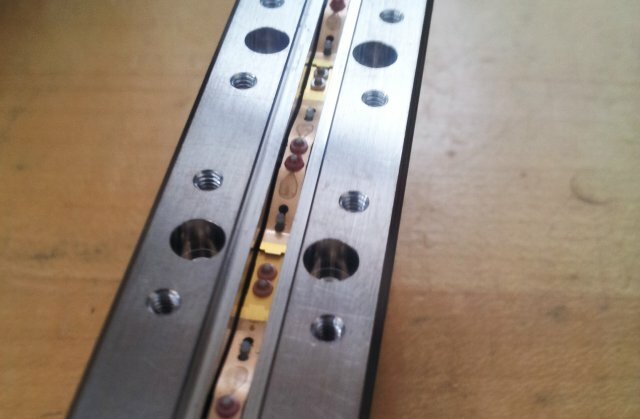 Using some fine-tip tools, re-adjusted the contacts so that they close the by-pass of the attenuators. Before re-assembly, make sure that there are no dust particles, and that the mating surfaces are perfectly clean. Best use a small, soft brush. There is no need to over-tighten the screws. 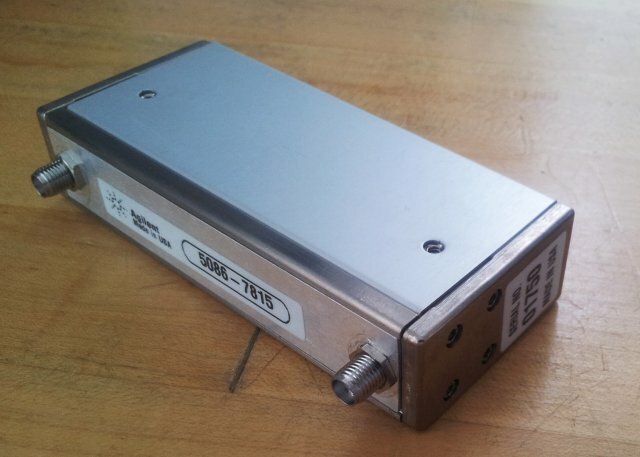 This attenator is the 4 GHz version, and not particularly critical. 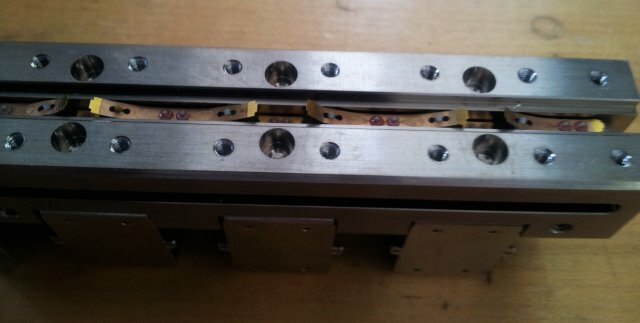 For the 22 GHz version, of same design, best check for SWR and insertion loss, and carefully tighten all screw with just enough torque to hold the assembly together. Some checks, some adjustments – and the instrument passed the self-calibration with no issues. The coeffcients are not zero, but close enough, and cross check with a well-calibrated 8642B shows that the amplitude accuracy is perfectly fine, no issues with flatness, any of the attenuator settings, or when switching through the various bandwidths. 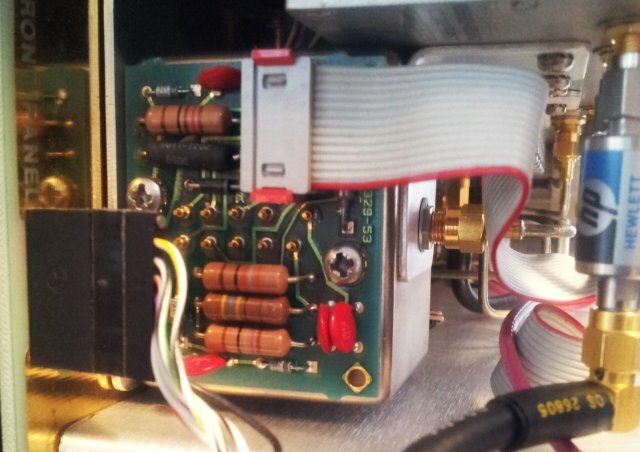 Some of the other parts, the 1st LO – a YIG oscillator. 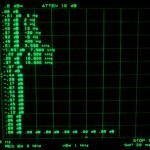 The reference, and OSC 49-61C, unfortunately, I can’t find any spec data for it, but appears to be a rather low phase noise oscillator, with more than adequate stability. As a further note, should you be in the market for a 8568B or 8566B analyzer, make sure that it comes with the 85662-60093, 85662-60094 bus and interface cables. These cables don’t look like anything special, but are commonly sold for over USD 100 a piece, even in used condition. 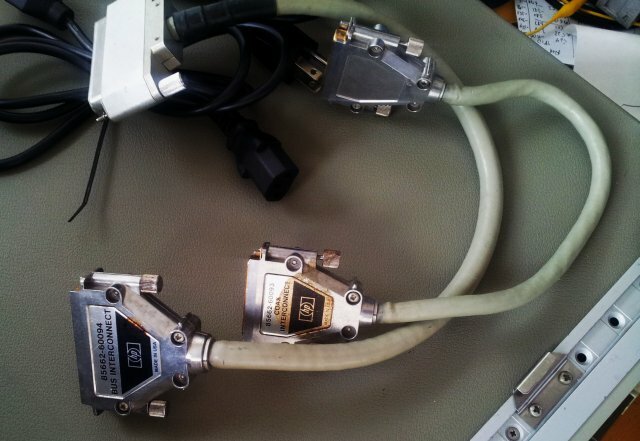 Often, the cables are lost when the instruments are put in storage, and auctioned later. Fortunatly, the current unit came with all the cables, even with a set of power cables! A short glance on the main board, it is a marvel of engineering and a pleasure for the eye, all traces layed out by hand, fully gold plated, amazing quality and attention to detail. Might last another 100 years of 24/7 use.